Lush is a cosmetic company that provide an entire range of handmade products, from bar soaps to bath bombs, perfume to makeup, Lush’s collection is huge. If you haven’t already heard of them then I am admittedly incredibly surprised. One of the most exciting range of products available at Lush is their bath bombs. With quirky names and colours, every bath bomb is designed to fit a different need or purpose. Each one includes natural essential oils and some include little surprises such as flower petals or extra layers. Today I have two of these bath bombs to discuss, demonstrate and review: Secret Garden from the Mother’s Day range and Rose Queen. They have a lot of similarities, both being floral-themed/scented bombs with extra surprises, so I felt that putting them in a post together made sense! Secret Garden is part of Lush’s Mothers Day collection and it has been brought back for Mothers Day 2015. 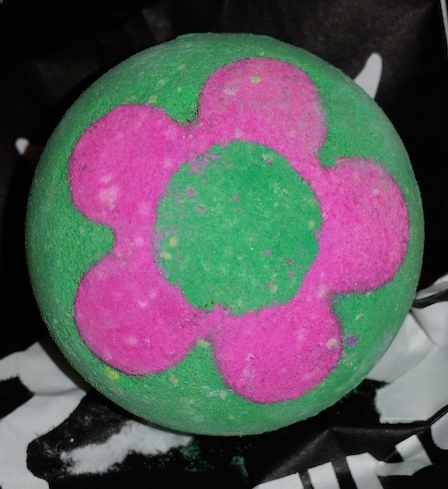 It is a green bomb with a pink flower on each end. It contains rose absolute, sweet wild orange oil and rosewood oil as well as a few flowery surprises that appear upon use. My favourite part of this bath bomb is that even though it's small, it doesn't fizz away quickly, allowing you to enjoy the show for a good 10-15 minutes. 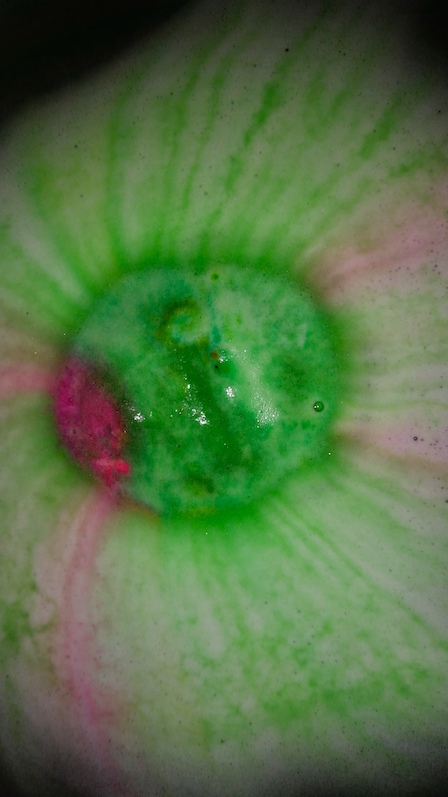 Upon dropping Secret Garden into the bath, bright green and pink foam instantly begins appearing from the bomb. This continues for a short while and the water starts to turn a dark, spring-time green shade. The scent of rose absolute takes over with orange and rosewood oils adding a new depth to differentiate it from a one-track floral type scent - perfect for those who can get a little tired of a floral overload. Over time, Secret Garden's second layer will begin to take over. Bright yellow and green starts to fizz from the bomb, releasing with it a collection of blue mallow, marigold and rose petals that float around you. Even after this stage it continues to fizz away happily, steadily releasing more flowery surprises until it finally disappears. The result that is left behind is a dark green bath garden. The water stays dark green and the flower petals really add an element of spring. I find this bath bomb to be moderately softening on the skin, being great for a bath bomb but obviously not as moisturising as a melt or the bath bombs that are also half melt. It does leave a gentle floral scent on the skin, too, and the flower petals can easily be rinsed down the drain without any issues after your bath is finished. Overall I really enjoyed this bath ballistic. I can see some being slightly put off by the sound of dark green water, but I assure you that even though I can imagine some comparing it to the shade of slime, it is definitely not a slimy experience! It will also make a fantastic addition to any Mother's Day gift! You can purchase a Secret Garden bath bomb for a limited time (Mother's Day is March 15th!) for only £2.95 from Lush. Rose Queen is a bright pink bath bomb with dried flower petals inside. As the name suggests, it smells like roses. 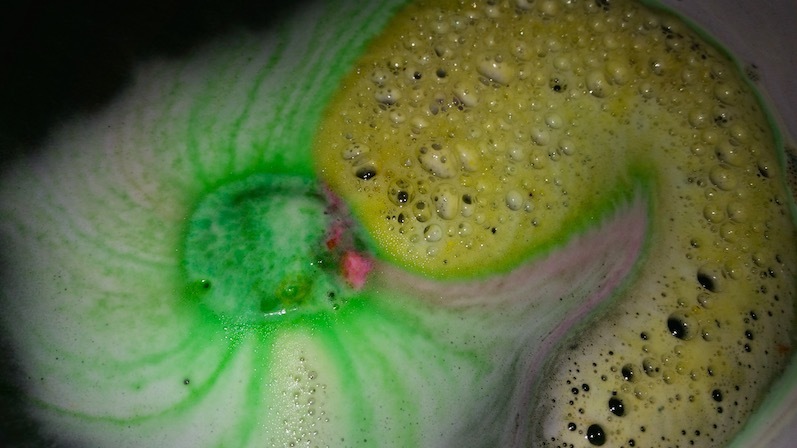 It is one of the smaller bath bombs in the Lush range and it is a very fast fizzer. Once added to the bath water, Rose Queen takes roughly less than a minute to fizz out completely which is a huge difference to Secret Garden and its long fizz-time. As it goes, the blue mallow, tiger lily, apple blossom, honeysuckle and amaranth petals contained inside it begin to free themselves and float away across the water. 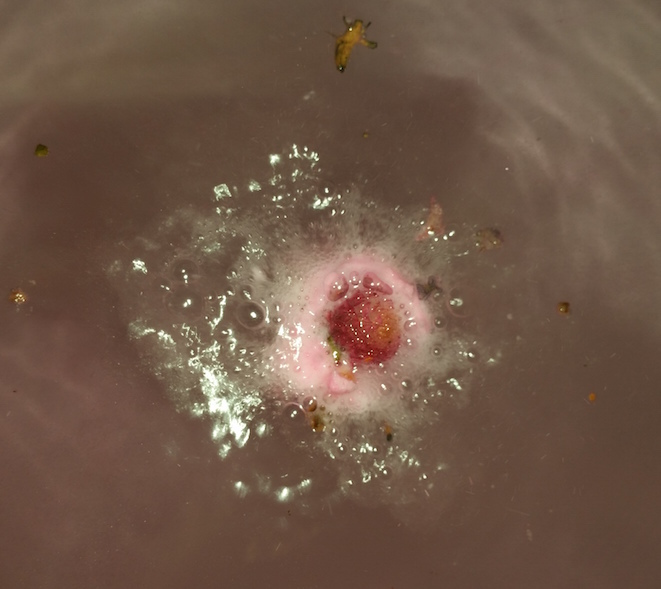 The centre of the bath bomb contains a small flower that floats happily around in the water too. 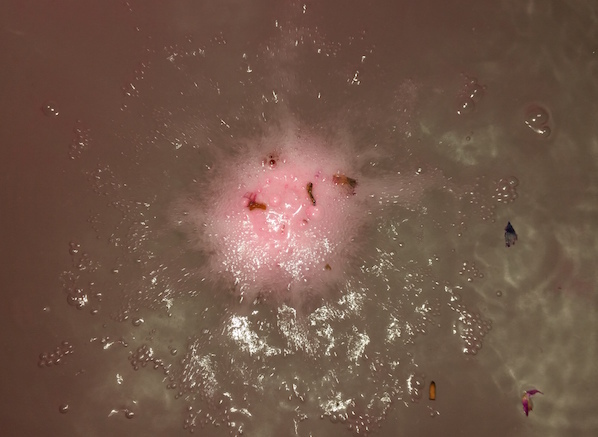 The water itself turns bright pink and smells like natural rose rather than synthetic rose. There aren't any other types of scent to balance out the floral, so it is definitely one for those who like floral scents. One thing that disappoints me slightly about Rose Queen is that it isn’t as moisturising as some of Lush’s other bath bombs. The flower petals are a pretty awesome touch, though. 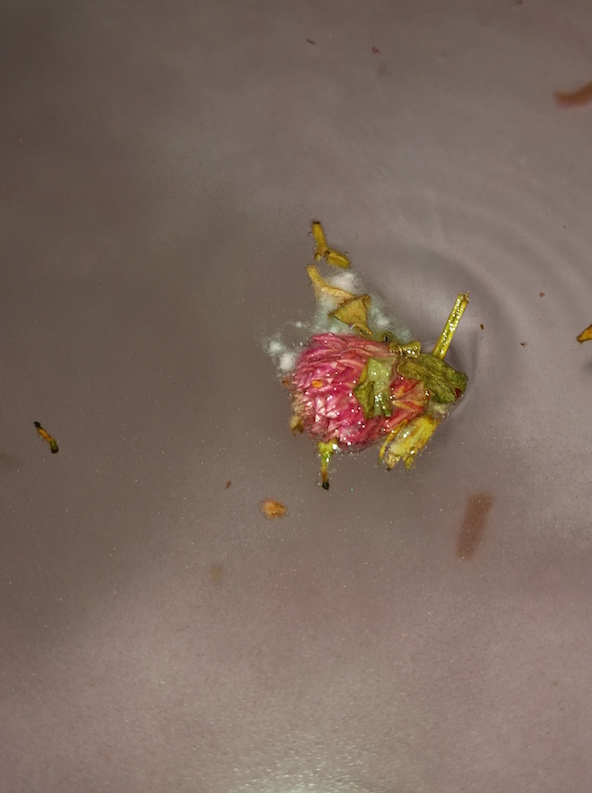 When you empty the bath, a large majority of the petals will go down the plug hole, but I found a couple of the larger ones did need fishing out. Otherwise, there is no extra cleaning needed to usual (I always give the bath a quick rinse after use), so using this bath bomb doesn't turn into a chore. You can purchase a Rose Queen bath bomb for only £2.75 from Lush. So there we have it! Out of the two, my favourite would definitely be Secret Garden. It's one of those bath bombs that I could easily stock up on for future use and eagerly anticipate the re-release of next Mother's Day. 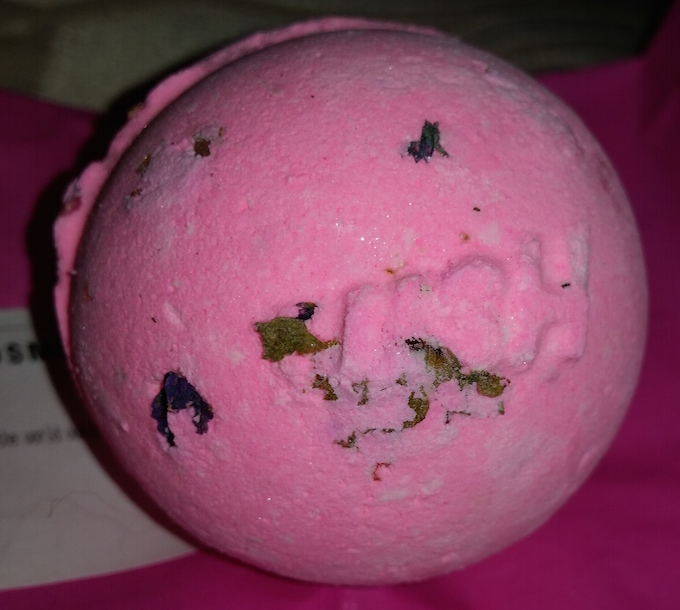 As explained at the start of the post, more Lush bath bomb posts will be making their way to the blog soon. Have you ever tried Secret Garden or Rose Queen? 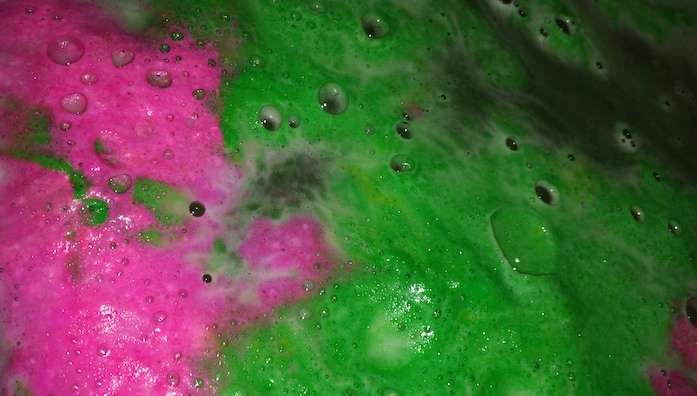 What are your favourite Lush bath bombs? The secret garden one looks so good, the colours are really vibrant!